Nobody will write songs about the census. Among the fabled pillars underpinning the country’s democracy, the great American headcount is often relegated to a dusty corner. In the nine interstitial years between each tally, analysis and development of a more perfect instrument take place mostly hidden from public view. There have been only 22 U.S. censuses—Presidents Reagan, Kennedy, Lincoln, and Jefferson never administered one—but the rarity of the event has not assigned it a special blue-moon-like significance among the public. For most people, the census is a vague, decennial annoyance, nothing more. The citizenship question is only the start of the Census Bureau’s issues. It has faced constant budget reductions and shortfalls, hasn’t been able to field the kind of end-to-end testing this year that it needs to, has missed its marks on some quality-control processes, and has been embroiled in smaller controversies over a rumored proposal to ban noncitizens from working as census-takers. All of these administrative issues have arisen as the Senate gears up to begin confirmation hearings for a new Census Bureau director. Though the post is not usually high on partisans’ collective radar, Trump’s appointmentof former Bureau of Justice Statistics Director Steven Dillingham has become a hot-button issue, one that could further complicate the morass of problems for the bureau to sort out before 2020. If all these complications weren’t enough to deal with, the 2020 census also faces a new and profound security threat. The 2016 election saw the major vulnerabilities of American voting infrastructure on full display. Russian hackers managed to infiltrate registration systems and voting machines, and experts uncovered other holes across a broad range of systems that nefarious actors could potentially exploit. And the American people proved as eminently hackable as the machines on which they rely: Much more so than the attacks on U.S. hardware and software, Russia-sponsored actors found success in manipulating the fears and behavior of voters themselves. Both these sets of exploits could be predecessors to a strategy to undermine the 2020 census. As security experts Joshua Geltzer and Matthew Olsen wrote in The Washington Post last week, the census and its respondents are prime targets in the lead-up to 2020. The upcoming survey is slated to be the first to which people can respond online. That new format introduces a ton of new statistical and methodological issues to work through, and it also presents a target for infiltrators. The census database could be used for identity theft or foreign microtargeting purposes, and the data themselves could be prone to tampering, Geltzer and Olsen argue. All of these potential pitfalls with the 2020 census can be broken down into three main dangers: poor quality in the underlying data, data tampering, and the use of data—good or bad—for anti-democratic aims. These deficiencies could each be used for political purposes by domestic groups or foreign actors with interests in American elections. They could also be used purely to destabilize the country. As the ongoing furor over the citizenship question shows, these three dangers can play off each other. 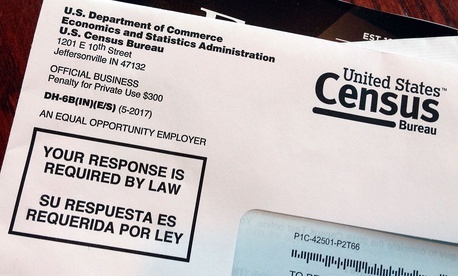 For example, the main objection from immigration activists on the citizenship question—that noncitizens would refuse to take the census with the question included for fear of reprisal—is in part a data-quality concern: An undercount of noncitizens will bias the census data and make it unreliable. But it’s also a concern based on the history of racist leaders wielding administrative data against immigrants, and on the potential for the GOP to use the census to punish “sanctuary cities” or deport people. Additionally, data that undercount the total number of noncitizens—whether through non-response bias or tampering—also hamper districts with large numbers of them through the improper allocation of congressional representation and funds.